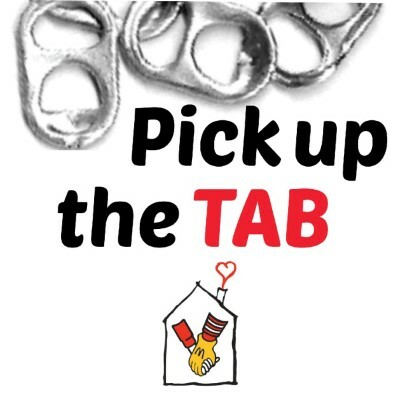 Help us collect pop tabs for the Ronald McDonald House. Many of you know that we have been staying in the Ronald McDonald House in Jacksonville for AJ’s proton therapy treatments. It is a special place where heroes walk the halls daily! One of the fundraisers they do to help with donations is collecting and recycling pop tabs from the top of aluminum beverage cans. 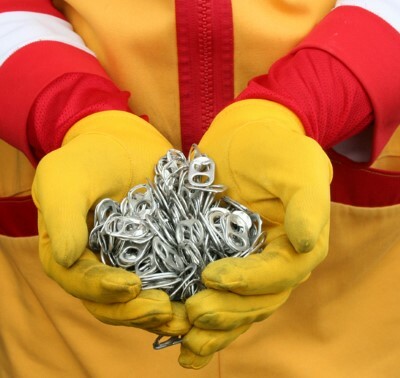 Ronald McDonald House Charities collect pop tabs instead of entire aluminum cans because it’s more hygienic to store tabs than cans, and collection and storage is easier. After the tabs are collected, the local RMHC Chapter brings the collection to local recycling centers, where they are weighed to determine their value (values can vary significantly). The recycling center then sends the local RMHC Chapter a check for the total value. The program is an easy way for people of all ages to support RMHC and know they are making a difference for families and children. Ronald wants your pop tabs for recycling. Please let us know if you or your kids would like to help collect the Pop Tabs on soda cans. Bring them to us or we’ll even send somebody to your house to pick them up! Start by pulling them off cans and putting them in a grocery bag. We’ll be picking them up in the second week of December and then again in January.